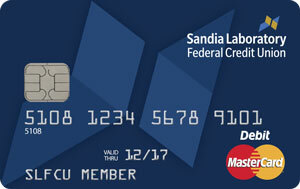 SLFCU’s free checking accounts come with a complimentary no-fee Mastercard® debit card. 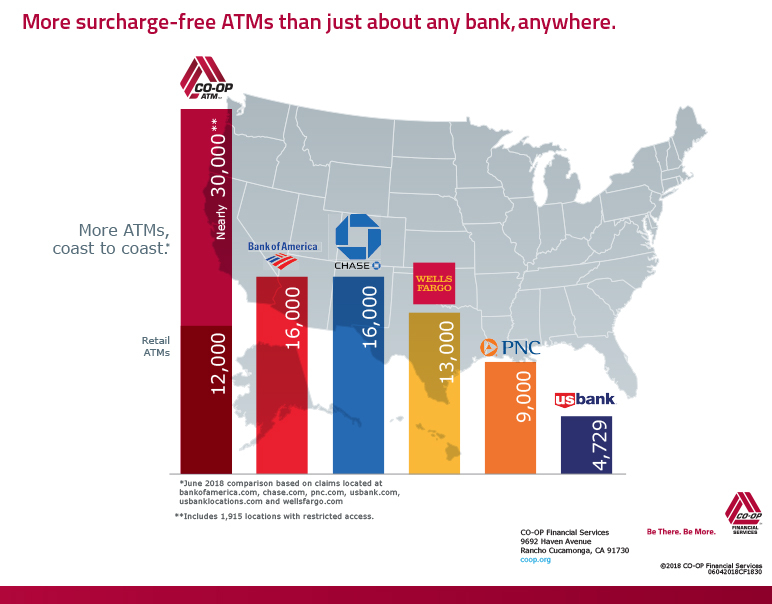 You can use it to make purchases anywhere Mastercard is accepted and withdraw cash at 28,000 surcharge-free ATMs nationwide. Apple Pay® is available for SLFCU debit cards. Learn more about mobile wallets. Our debit cards are protected with EMV chip technology and also have a magnetic stripe so you can shop with merchants that do not have chip-enabled payment terminals. Use your debit card with the CardNavSM card control app for additional protection against fraud. Report a lost or stolen debit card: Call 800.947.5328 during SLFCU business hours. If you receive a call regarding a blocked transaction on your personal debit card, please call 888.241.2440. To change your debit card PIN, visit any SLFCU branch or CU Anytime ATM. Help protect your SLFCU debit card from fraud with the CardNavSM app. Turn your debit card on and off to control when it can be used. Set location controls so your card can only be used within specified geographical areas or only when it’s near your mobile phone. Define how your card can be used – within specified spending limits, for certain categories of purchases, and more. Receive alerts when your card is used. Available for your Apple® or AndroidTM smartphone. Learn more about CardNav. Notify SLFCU of travel plans to keep your cards safe and working. Your SLFCU credit card and debit card are protected by a system that detects unusual patterns of activity. Please let us know when you are planning a trip, especially one that takes you outside the U.S. When activity is detected outside of your normal pattern, you’ll receive a phone call to verify the purchase is legitimate. Please provide us with your cell phone number so we can reach you when you’re away from home. Card fraud is a widespread problem that you can help prevent. Call us at 505.293.0500 or 800.947.5328 or send a secure message in online banking, and we will make sure your cards are safe and continue working when you leave home. Using your Visa or Mastercard® credit card to make purchases overseas is a smart move. You'll be charged only the official exchange rate, plus a 1% international transaction fee. Use your debit card worldwide anywhere Mastercard is accepted to pay for your purchase or get local currency from your checking account. Please note that some foreign ATMs may not allow access to savings accounts. If you will be traveling outside the U.S., SLFCU recommends that you have a debit card attached to a checking account or use a credit card for purchases/transactions. Mastercard® Zero Liability means you won’t be responsible for any fraudulent activity on a lost or stolen card if you report it to SLFCU promptly. Report a lost or stolen card: Call 800.947.5328. If you become dissatisfied with a product you purchase using your eligible Mastercard within 60 days of purchase and the store will not accept a return, you may be eligible for a refund for the cost of the product up to $250. If Mastercard identifies a security issue, you’ll receive an email alert that includes details about following up with an Identity Theft Specialist.